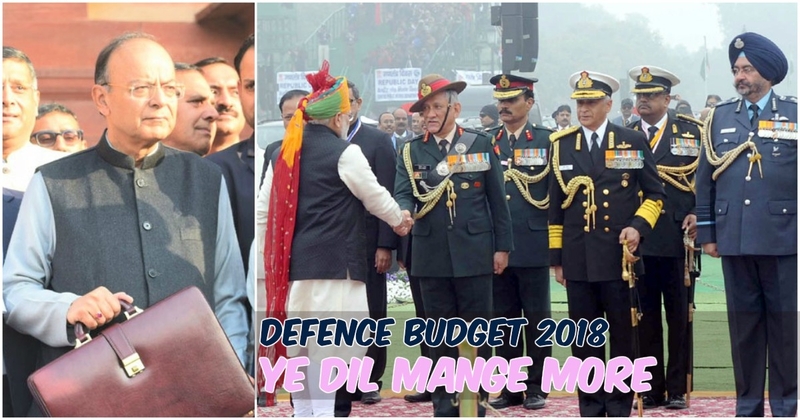 The defence Budget has been hiked by only 7.81% to Rs 2,95,511 crore amid expectations of a higher allocation due to heightened tensions with both Pakistan and China. The defence outlay works out to about 1.58% of the projected GDP for 2018-19, the lowest since the 1962 war. This year's defence budget accounts for 12.10% of central expenditure.The defence budget includes a capital outlay of just Rs 99,563.86 crore for new weapon systems and modernization, which is dwarfed by the revenue expenditure (day-to-day running costs, salaries etc) of Rs 1,95,947.55 crore. The defence budget does not include Rs 1,08,853 crore separately allocated for defence pensions. Revenue expenditure can be reduced only if excess civilian manpower under defence ministry is reduced as recommended by Lt Gen Shekatkar committee. Also, 70-80% of defence capital outlay goes to instalments for earlier arms deals, leaving very little for modernisation projects. The annual defence budgets have shown a discernible trend of declining modernization outlays for new projects, with almost 80% of the outlays earmarked for "committed liabilities" (instalments for arms deals inked in earlier years) and a skewed revenue to capital expenditure ratio. This means that the Army, Navy and IAF continue to grapple with critical operational gaps on several fronts ranging from fighters, helicopters and submarines, howitzers and modern infantry weapons. Though defence budget has been steadily declining in percentage terms as the economy expands more money will be available for modernization. The GDP% should rise to 2.5% to ensure the armed forces are capable of tackling the "two front war threat" from Pakistan and China. The government will bring out an industry-friendly defence production policy to promote domestic arms production by public and private sectors as well as MSMEs, said FM Arun Jaitley, adding that two defence industrial production corridors will be set up. Defence minister Nirmala Sitharaman said, "This paves the way for the first defence production corridor to come up in Tamil Nadu, linking small and medium units running from Chennai, Mysore, Coimbatore, Salem and Tiruchirappalli right up to Bengaluru. The two corridors will encourage Make in India. 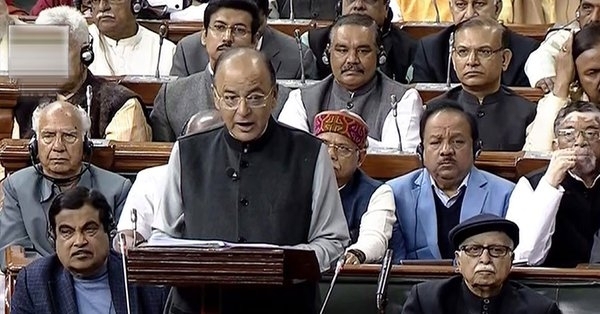 Focusing on border connectivity, Jaitley said: "Rohtang tunnel has been completed to provide all-weather connectivity to Ladakh. The contract for construction of Zozila Pass tunnel is progressing well. I now propose to take up construction of a tunnel under Sela Pass (in Arunachal, a site of fierce battles in 1962)." "Our armed forces have played a stellar role in meeting the challenges we have been facing on our borders as well as in managing the internal security environment both in Jammu and Kashmir and the North East. I would like to place on record our appreciation for the efforts and the sacrifices made by the three services in defending the interests of the nation," he added. With an eye on China, there is also a separate section in the plan on the "capability development" of the strategically-located tri-Service Andaman and Nicobar Command, which was set up in October 2001 but has suffered from relative neglect, lack of infrastructure and turf wars. The defence five-year plans are formulated in consonance with existing threat perceptions, the "Raksha Mantri's operational directives" and the 15-year LTIPP (long-term integrated perspective plan). But they have not received much attention from successive governments, with the 10th (2002-07), 11th (2007-12) and 12th (2012-17) Plan failed to get approval from the finance ministry. This must be approved for a long-term view of security needs. India celebrated its Republic Day by parading troops and locally made weapons in front of 10 Southeast Asian heads of state -- all potential buyers. India hopes to export made-in-India military technology, including its BrahMos missiles, to smaller countries in Asia that fear China's rise. India will have another chance to show off at the Singapore air show starting February 6, where BrahMos Aerospace, a joint venture between India and Russia, will be exhibited for the first time. India's $250-billion military modernization program requires being fast-tracked. That's becoming more important as the U.S. pressures Delhi to tackle a larger role policing the Indo-Pacific, from the Indian Ocean to the waters off Southeast and East Asia. While Prime Minister Narendra Modi has held steady against geopolitical rivals, including with China in the face-off at Doklam last year, the finance & defence ministry hasn't fixed procurement system in the world's largest arms importer. That prevents it from equipping its own armed forces, let alone those in friendly nations. "It's not the way to run a military of a major power. By contrast, China's military modernization has advanced considerably. Over the past two years, President Xi Jinping has overseen the most sweeping changes to China's military since the 1950s in an effort to create a fighting force that can win modern wars. It's also now the world's third-largest arms exporter. India wants the transition from an importer of weapons systems to an exporter. India still needs to import most of its components. The BrahMos missile, for instance, is made up of 65 percent imported components that should be outsourced to Make In India. "There is significant demand from friendly countries who look toward India for meeting their arms requirements. "Make in India" program, will create jobs and cut huge import bills. But India often awards contracts to state-owned defence firms that invest little in research and development, over-promise to score contracts and abandon many projects halfway.Defence suppliers often compensate for the cost of delays and mandatory investments by inflating the final price. Last year, the Indian Army rejected an Indian-made rifle for the second year in a row after it reportedly failed quality tests. Locally made products like Arjun tanks, light combat aircraft and even bullet-proof jackets often can't be used on the sensitive China or Pakistan borders because of performance issues. Part of the problem is procurement which is overseen by "non-expert" generalists of the Ministry of Defence. "They can't tell you about strategy". "The army, navy and air force are well trained, but their equipment is obsolete." Indian Army has been described as a first-rate army with second-rate equipment. India’s armoured regiments require 1000 main battle tanks [MBT] T-90S. T-72 Ajeya has to be upgraded to increase its life & capabilities. Artillery was last upgraded in the mid-1980s.The Corps of Army Air Defence has obsolete equipment that needs replacement. India also needs to raise and suitably equip mountain strike divisions to carry the fight into Chinese territory. Modernisation plan of India’s cutting-edge Infantry battalions is moving at snail’s pace. Defence is not a particularly endearing subject for India's parliamentarians. Up to last year, the finance minister used to include two or three sentences about defence funding in his Budget speech. After acknowledging the contribution made by the defence forces, he would give the usual assurance by intoning "that where the defence of the country is concerned money would not be a consideration." It has always been a hollow promise & has never resulted in any kind of increase in the allotment.This year was no different. India could resolve some issues by appointing a single person in charge of the armed forces, or outline priorities in a national security doctrine. Manpower costs can be reduced only if excess civilian manpower under defence ministry is reduced as recommended by Lt Gen Shekatkar committee. As a long-term measure defence budget share to the GDP should rise to 2.5%.The Finance Ministry must approve 15-year LTIPP (long-term integrated perspective) of Armed Forces. Appointment of Chief of Defence Staff will optimize utilization of defence budget. "Make in India" program for defence ministry requires being fast-tracked to reduce import content from 70% to 30 % in next five years.The country must move from an importer of weapons systems to an exporter in five years time frame. The defence budget inadequate increase does not bode well for a nation that claims to be pursuing a much-hyped defence modernization programme. This is much more important for a country like India that faces a unique security environment with two of its 'adversaries' straddling it on two sides of its borders and problems on all sides of its periphery. No one takes India's claims of being a rising military power seriously anymore and Indian adversaries are getting bolder by the day. There is no substitute for institutional effectiveness in security policy-making. Otherwise, budgets will come and go without adequately serving Indian national security interests. We should be at least one step ahead of our enemies, but unfortunately, we are 10 years behind China. 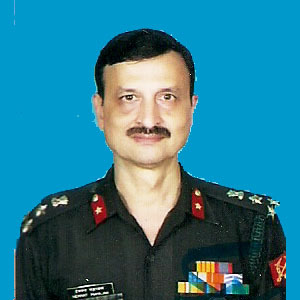 However the nation need not worry, the armed forces will fight with whatever it has (as famously said by the then COAS during Kargil)& fight very well, as it happened in Kargil & happens every day in the proxy war in J & k. But they need an efficient & effective Ministry Of Defence who can give them weapons as modern as the enemy.